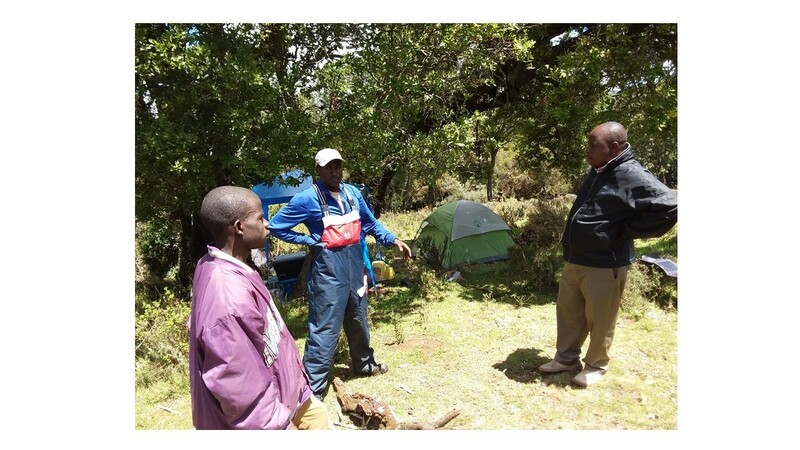 The Lake Victoria Basin Eco-region Research Programme (LVBERP - Maseno) recently carried out biodiversity assessment in Mt Elgon Forest Ecosystem between 3rd and 16th May, 2017. The assessment covered lower plants, higher plants, small mammals, herpetofauna (amphibians and reptiles), birds and large mammals. The assessment was carried out in four ecological zones, namely: mixed montane forest, bamboo zone, sub-alpine zone and alpine zone. It was carried out by team of experts from the Kenya Wildlife Service (KWS) (large mammals), National Museums of Kenya (NMK) (lower plants and herpetofauna), Nature Kenya (NK) (birds), Rongo University (lower plants) and KEFRI & KFS (higher plants). Technical reports for the same are presently under preparation.